For some reason, there are a lot of people who don’t like the idea of men’s jewelry. But, even with that in mind, there are incredible bracelets that will add a bit of flair to your style. So, why wouldn’t you at least give it a try? Of course, we wouldn’t recommend overdoing it, but a bit of fashionable accessorizing never hurt anyone. We would definitely recommend getting a high-quality bracelet to update your look. Believe us, you won’t be alone. With that in mind, these are our top picks for men’s bracelets. Are you on the lookout for something minimal, durable, and incredibly masculine? Well, this creation by Giles and Brother is the best thing for you. This railroad spike cuff goes with every casual outfit you have. And, it can serve as an excellent conversation starter. Take your vacation style to a whole new level by getting a stylish cord bracelet for yourself. And, with this cord bracelet there is no need for you to break the bank. In fact, it is quite affordable. And, if you are looking for affordable jewelry, we would definitely recommend avoiding metal bracelets. The main reason for that is that inexpensive metal can look rather cheap. 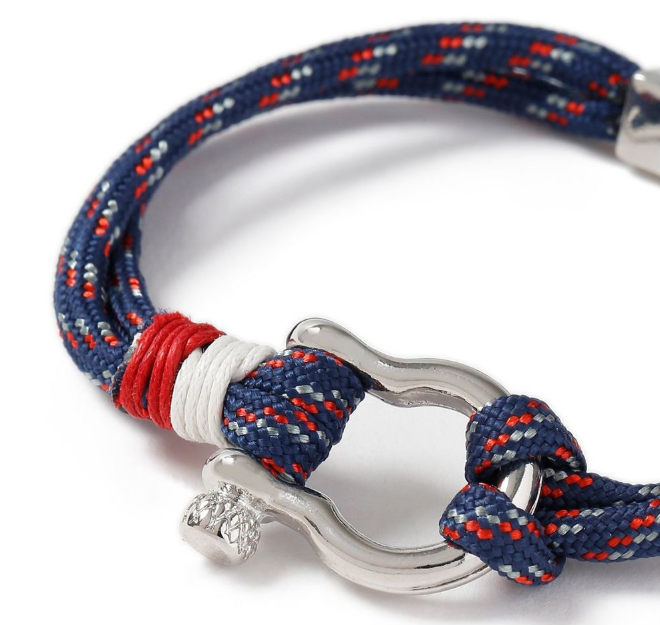 Instead, you can just take this Tompan’s nautical rope bracelet to complement your preppy style. You can rock this bracelet with any of your summer combinations. If you enjoy fishing, get ready to get hooked to this bracelet. It is made out of high-quality materials, and it is one of the most elegant bracelets for men in the world. You can use this discrete bracelet to give your regular outfits a stylish accent. Most people associate leather bracelets with their late teens, but this Paul Smith creation is perfectly suitable for a stylish adult. The weave is excellent, and the golden tones give it a refined look. You can wear this bracelet with any of your summer combinations, including your Sunday bests. When you talk about fashion, you can’t really skip Gucci. After all, Gucci is a company that rarely, if ever, fails with their innovations. And, this silver bracelet will add a stunning roar to your fashionable outfits. Choosing the perfect antique look for your combinations can be tricky. If it is too wide or too big, it can look gaudy. However, that is simply not an issue when you buy Gucci accessories. 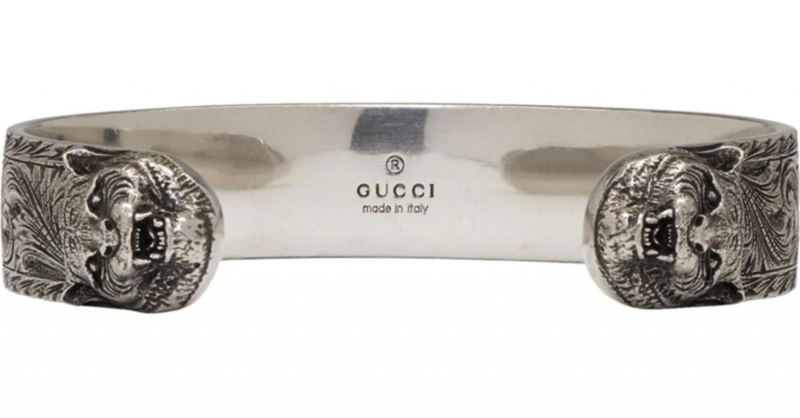 The design is as flawless as you could expect, but you should also bear in mind that the Gucci logo always comes with a hefty price tag. If you are looking for something a bit more on the casual side, this bracelet should be perfect for you. The explosions of color on this otherwise black bracelet will give a really fun accent to your everyday outfit while remaining stylish. These are just some of our favorite choices. You can check them out, and hopefully, they will help you on your shopping spree. But, you should always feel free to look around and find the best men’s bracelet for yourself.